During the month of March Filmatique presents five films from Nigeria, Angola, Italy and the UK that explore contemporary black identity onscreen. C. J. Obasi's micro-budget zombie film Ojuju doubles as an allegory for the lack of resources faced by many in Africa's richest nation. Destiny Ekaragha's Gone Too Far! comically juxtaposes two Nigerian brothers' varying efforts to assimilate in South London, while celebrated short filmmaker Rob Brown's Sixteen portrays a young man's struggle to cope with his shameful past as a child soldier. Marío Bastos' Independência chronicles Angola's colonial history through the repository of memories of several generations; Fred Kudjo Kuwornu's Blaxpoitalian delves into the history of black performers over the course of a century of Italian cinema. 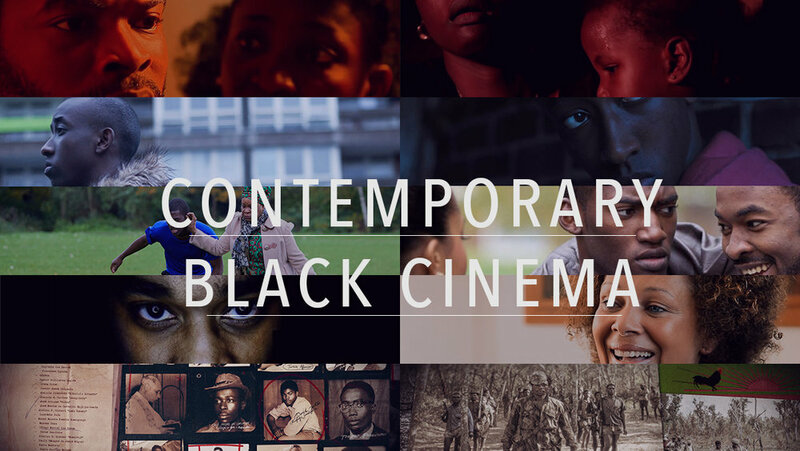 Featuring three debut narrative features— a horror film, a comedy, and a social-realist drama— alongside two documentaries, Filmatique's Contemporary Black Cinema Series examines issues of colonialism, corruption, assimilation and exploitation through the works of exciting new filmmakers in Africa and the African diaspora of Europe. Romero is at a crossroads. News of his girlfriend's pregnancy has motivated him to make good of his life, but something strange is happening in his neighborhood. The local water supply has been tainted causing people to suddenly manifest symptoms of rabid river blindness. Romero recruits his friends Emmy and Peju to get to the bottom of the epidemic in a race against time for their own survival. A micro-budget zombie film that combines genre flairs with the ethnographic details of a Lagos slum, the premise of contamination in a county where 70 million Nigerians lack access to clean water transcends horror, registering Ojuju as social allegory. C. J. Obasi's first feature film premiered at Eko International Film Festival, the Pan African Film Festival and the African International Film Festival, where it won Best Nigerian Film. Yemi is a smooth, streetwise teenager living in the South London neighborhood of Peckham. He has his eyes on local beauty Armani, who might even be into him; that is, until his estranged brother Ikudayisi arrives from Nigeria. Yemi has never met Ikudayisi and is ashamed of the African heritage his brother wears so proudly. Before long the two are bickering about everything from fashion choices to what it means to be black, and African. An adaptation of British playwright Bola Agbaje's Olivier award-winning play, Gone Too Far! employs humor and wisdom to explore the nuances of race, multi-culturalism and brotherhood. Destiny Ekaragha's feature debut premiered at BFI London and BAMcinématek New Voices in Black Cinema. Born to an Italian mother and a Ghanian father, filmmaker Fred Kudjo Kuwornu embarks on an inquiry into the history of black performers onscreen in Italy since the advent of cinema itself, some one hundred years ago. Framed as a quest for his own identity, Kudjo Kuwornu meticulously chronicles the subjugation of black identity in early portrayals alongside the obstacles that even the most famous black performers face in Italy today. Melding individual and collective experiences of exploitation with a particular study of cinema history, Blaxploitalian's findings apply to multi-faceted aspects of Italian culture as well as the entertainment industry as a whole. Kudjo Kuwornu's third documentary film premiered at Rome, Martinique, Martha's Vineyard and the Pan African Film Festival and has screened at over a dozen universities across the world. Sixteen-year-old Jumah lives with his adoptive mother in west London where he struggles with typical issues of a boy his age: authority, his temper, rules. Yet everything changes one night when, out exploring the city with a new friend, Jumah witnesses a stabbing. This incident opens scars from Jumah's former life in the Congo as a child soldier, reawakening the burden of his past as well as the anxiety of his future. Filmed with naturalism and restraint, Sixteen explores the trauma of a reality too many children in Africa have faced. Respected short filmmaker Rob Brown's first feature film premiered at BFI London and Karlovy Vary and won Best Film from the Royal Television Society, UK. Comprised of hundreds of interviews of frontline fighters, political prisoners, and the resistance movement against the colonial government, alongside a vast archive of documentary footage, Independência brings to light untold events and figures from an important anti-colonialist fight. From 1961 to 1974, the war in Angola spread from the bush areas in the North and Cabinda to the flood plains in the East, involving both the guerrillas and those that supported them. Through a combination of military operations and economic and legal reforms, Portugal managed to prolong a war it could not win. An evocative portrait of the Angolan struggle for independence, Independência examines the labyrinths of history, memory, and complicity, both collective and individual. Marío Bastos' second feature documentary premiered at Luxor African Film Festival, Durban, Yamagata and Camarões, where it won Best Documentary.